CardsSPEAK (Suicide Prevention, Education, Awareness and Knowledge) hosted PreFest, sponsored by the Pete Foundation on Aug. 24. The PreFest was a preview of PeteFest, a three-day festival with music, community, discovery and awareness for the Pete Foundation. In an email correspondence, Geri Morgan, Student Care Manager, wrote about the event and its importance. “It is important for our campus and community to lift one another up when those around us may be struggling with depression or other mental health issues. Suicide is preventable. We want to raise awareness about services that are available to our students to help in times of crisis,” Morgan said. Events similar to these are in the near future such as the PeteFest. The PeteFest will be held Sept. 8-10 at Jones Field in Louisville. Another series of events is National Suicide Prevention Week which will be on campus Sept. 11-16. 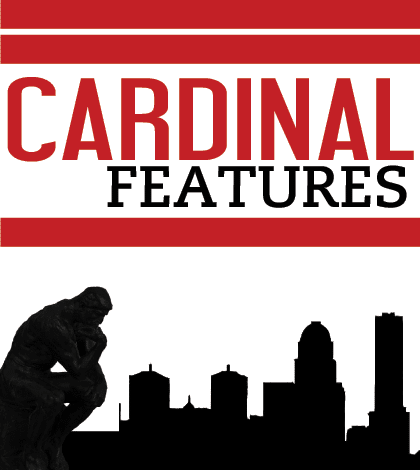 A large portion of CardsSPEAK’s mission is to not only raise awareness of suicide, but also offer training opportunities for students interested in this venture. “CardsSPEAK offers trainings on campus through the Kognito Challenge. Kognito is an online suicide prevention training available for faculty & staff as well as students. We also offer in person training for groups in QPR (Question, Persuade, Refer),” Morgan said.